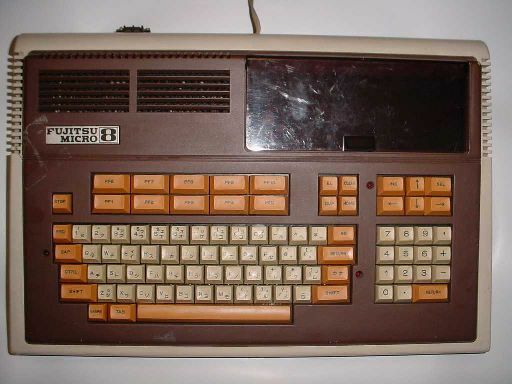 Note This is the first personal computer built by Fujitsu. 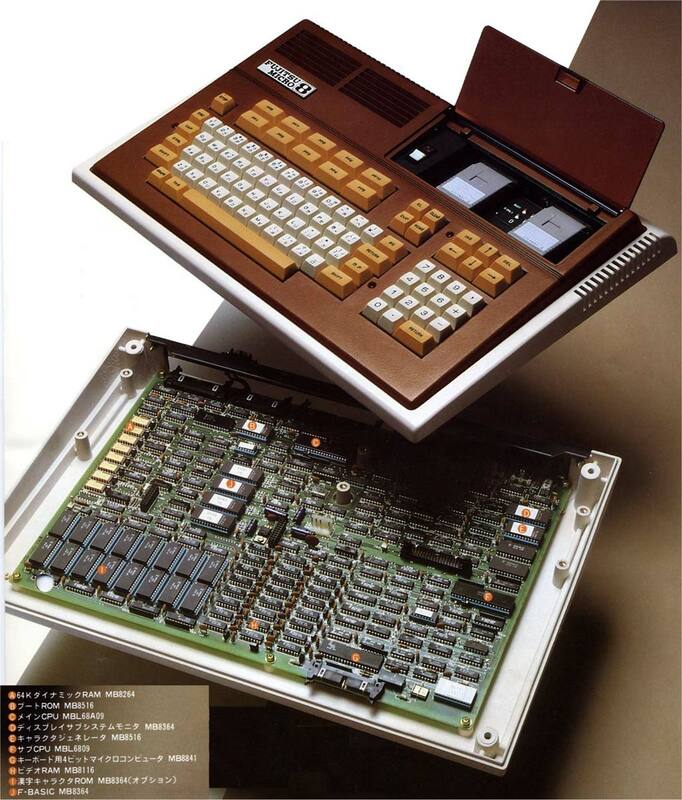 Configurations It can use Bubble Memory Cartridges, although their price are very high: 35.000 Yens for 32Kb. 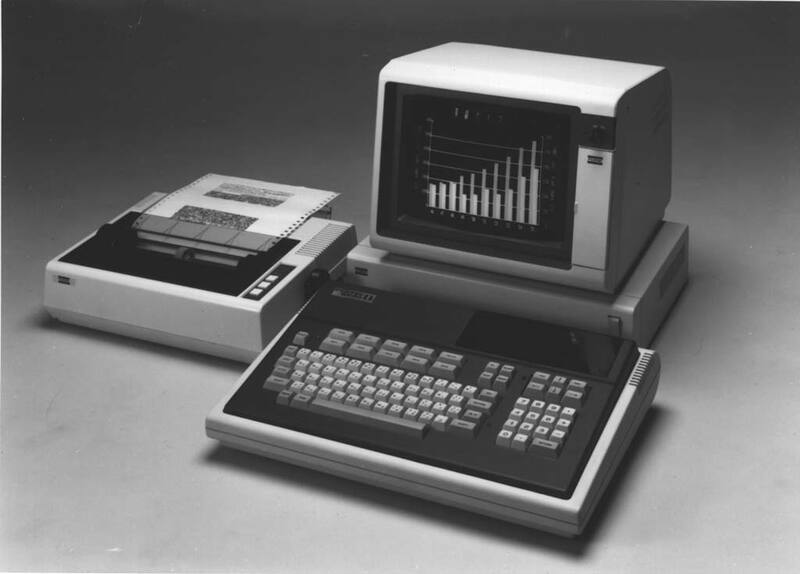 Boot Loader that allows boot from the ROM (F-BASIC), from the floppy disk (DOS) or from the Bubble Memory. SUB-Monitor, used by the second CPU.